adorn one big notice board. All this was the reason I was there, it was hard to contain such powerful and very mixed emotions. has transformed the lives of so many children. fund raising target of £3000. 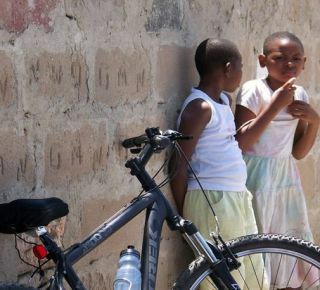 Our sponsored bike ride will be a real challenge covering 600km. Director, Augustine,who will talk about the work currently being conducted in country. orphaned children in Africa will receive an education in tribute to Rosie is a big comfort. whatever the amount will make a big difference to so many people. this campaign and of course spread the word to others. the most efficient way to sponsor Rosie's fund: Action in the Community Environment gets your money faster and, if you're a UK taxpayer, Justgiving makes sure 25% in Gift Aid plus a 3% supplement, are added to your donation. To donate click here. support this campaign and of course spread the word to others. 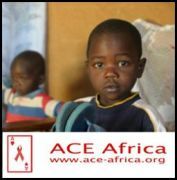 ACE works in rural communities in Kenya and Tanzania giving training and support for caring for orphans and vulnerable children, their guardians or single parents and others infected or affected by HIV/AIDS. Its holistic approach includes agriculture and nutrition, income generation, schools health education, counselling, education for orphans, childs' rights and material support.